Psychotherapy is a symbolic drama of change the imperative of which is: By living this experience you will be difference. Working at the Department of Speech Pathology, University Clinic, Heidelberg Germany in the 80's, most patients with voice disorders came with expectations getting medical treatment. But resistance to psychological approaches were com-mon. Being confronted with this resistance many times cre-ated a very indirect approach of self-hypnosis training (which actually is a trance induction). Tailoring the standard approach to different patients and symptoms will be discussed, as well as how to use this in group therapy. Hypnosis itself cures nothing. Rather, it's what happens during hypnosis that has therapeutic potential. In this demonstration, the focus will be on helping the volunteer client evolve an awareness for and willingness to take "the next step" in ad-dressing some issue. Symptoms are expressions of contradictory inner needs and movements and inner fights. This demonstration will show how the different parts of a person can be utilized as helpful “messengers of needs and knowledge” and as powerful competences for goal-serving synergy and context- flexible successful behavior. 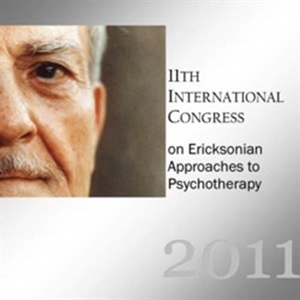 Solution-oriented hypnosis derives from Erickson’s work and is concerned not with the origins of problems, but with accessing past, present and future resources to resolve problems. This session will demonstrate the assessment and treatment process involved in solution-oriented hypnosis. Social roles, established identities, and learned expectations can sometimes stand in the way of healthy adaptation and personal achievement. Hypnosis an experiential phenomenon that enables individuals to access previously unrecognized human potential. This demonstration will show how problems/symptoms may be viewed as attempts by the creative unconscious to bring transformation and healing, and how the development of a generative trance can allow that transformation to be realized. Specific direct and indirect techniques are required to activate family resources and to induce a deep and meaningful change of the most rigid family patterns. A family hypnotic session tends to overcome the powerful and subtle resistances a family may develop in the course of the treatment as well as to offer many different solutions a therapist may adopt to overcome these resistances. Special focus will be how to combine properly direct and indirect in the different phases of the therapeutic process. Metaphor primarily activates the client’s sub-dominant hemisphere, and this can be utilized without knowing the content of the problem. Asking a client to discover more about their metaphor for a problem is a way to communicate directly with their unconscious understandings, which are often the keys to making useful changes. This demonstration and discussion will focus on the ways in which dissociation is utilized in all phases of a hypnotic session. A structured model of dissociation will be presented then illustrated in the hour.